Category Archives for "Down Under Visas"
Information on Visas reqired to travel to Australia from the Philippines. Everyone who is not already an Australian Citizen and wants to enter Australia MUST have a visa. If you do not have a visa, they will not let you in. It’s as simple as that. This even applies to tourists. Do “tourist things”, like sightseeing and holidaying. At the end of the visa period you must go back. 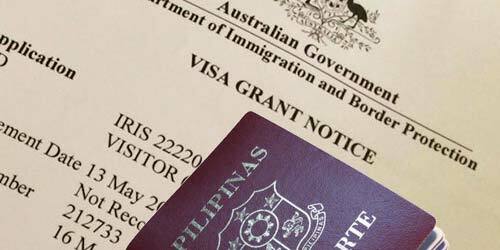 Tourist visa grants to Australia from Philippines almost always have a Condition 8503 applied to them, which means NO FURTHER STAY. 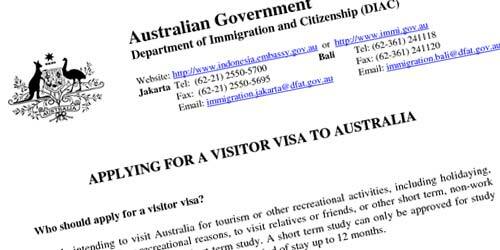 Australian tourist visas are definitely not a short-cut or a queue-jump to permanent resident (PR) status. If this is your intention, then please think again. And please discuss with us the other options available to you by going through the right channels. If you are a genuine visitor, especially if you wish to spend time with family members or someone special in your life, then we can help you by preparing an application that is complete and honest and which meets the stringent Regulations. We can give you proper visa requirements that match your situation, and we can check that you have provided us with the correct visa requirements. We are thorough and we are absolutely honest. No lies or bending the truth. No clever schemes. This will only come back to bite you, and will stay on your permanent record. Our success rate in 2012 was 95.55% visa grants, and we did this without ever telling lies. Please fill out our FREE VISA ASSESSMENT FORM, and see if we can help you to get a visa and to be together. Should I Get a Tourist Visa if I’m Engaged or Married? 3. She applied for two or three tourist visas, and they were all refused……. This is not uncommon. Tourist or Visitor visas are for tourism, or visiting family members or friend, and that’s all. But so many think of them as the simple-and-cheap visa to apply for, therefore an easier option. This is not an unreasonable or foolish idea! Most countries have easy visa options available. For many countries you don’t need a visa at all. If you visit the Philippines, they automatically grant you 30-day visa on arrival. If you want a longer stay, you simply apply for it. However Australia does not work like that! And for those prospective visitors from the wealthier nations it’s almost a formality. If you come from Japan or UK for example, you can apply online and you’ll probably get it. However, the Philippines (like many other poor countries) has a reputation for non-genuine applicants who wish to overstay and/or work illegally. If you earned a typical Filipino salary, then you would find Australia is an appealing option. Somebody could easily earn 8 – 10 times what they are currently earning! Poverty and hunger are strong motivators! So with all this in mind your girlfriend’s visa application is lodged in Manila, and the Case Officers have to work out if she intends just taking a holiday, or if she intends overstaying and working illegally! They need to decide if she has strong and believable reasons to return to the Philippines after enjoying the good life in Australia. If your Filipina girlfriend has a well-paying job, owns property, or a proper and stable business, or if she can establish that she is in a serious relationship with you, then it can be done. If this is not established clearly, then there’s a good chance they’ll refuse the application. Please don’t get offended at us telling it like it is! The Department of Immigration and Border Protection (DIBP) have a job to do, and if they are not convinced then they must refuse. It’s their job to protect Australia’s borders and to maintain the integrity of the labour market. They don’t know you and they don’t know her. They know that if she wanted to run away and disappear, a letter from you saying it won’t happen means nothing. 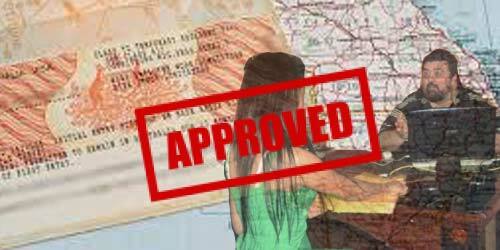 So is it impossible to get a tourist visa for your Filipina fiancée or girlfriend? No, of course not. We at Down Under Visa apply successfully for many hundreds of tourist visas from the Philippines every year. I am merely generalizing and explaining how it works. We have a very good track record with tourist visa applications, particularly when we can show some good and sound evidence of stability in the applicant, and a stable relationship with an Australian Citizen or Permanent Resident. When the application is genuine, it’s our job to show them that the risk of overstaying is low. So please discuss your chances with us, and be assured of an honest appraisal.